Here we have Northern California's instrumental trio known as Abnormal Thought Patterns (ATP for short). 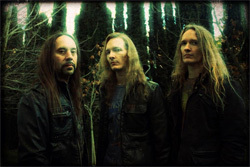 ATP consists of brothers Troy (b) and Jasun (g) Tipton, with their longtime friend and drummer Mike Guy. The three of them, made up the instrumental parts of the band Zero Hour. 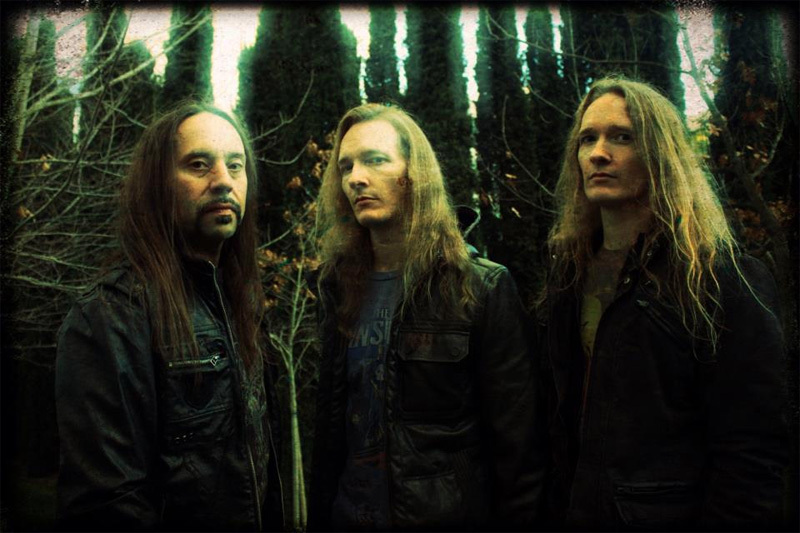 Zero Hour in my opinion was one of the most underrated progressive metal bands ever. Insane musicianship, great songwriting, and a sound all their own. This is their first full length disc as ATP, with an EP that came out in 2011, read the review here. Abnormal Thought Patterns: what are they thinking? The first four songs, continue the The Velocity and Acceleration Movement pieces from the EP. Where one song ends, the other begins. To some it may sound like one song, to me each song has its own personality. Whether its the speed of which they are played, the notes that are used, something different can be heard from each song. Calculating Patterns is next, with its jazz/fusion feel and mechanical sounding percussion. Harmonic Oscillators brings back the insane, from the opening sweep guitar solos, to Troy's very audible bass lines. While it feels like each instrument is playing a different song, it sounds very cohesive. The chaos that is ATP's music is definitely showcased with this song. 4 String Lullaby is Troy getting some solo time. This song should not be considered a filler song, due to the fact, what he is playing, is technical and proficient. The haunting clean guitar tones of Autumn come in next. This song shows Jasun putting some restrain on his guitar pyrotechnics. The song reaches a climax at the one minute and thirty second point, with Troy's bass arpeggios (a technique in which notes in a chord are played individually) coming through. The next song is the title track, which again showcases the pure instrumental prowess of the band, and is worthy of the disc's title track. Electric Sun 2.0 is a revamped and recorded version of part one from their EP. Quintessence is another jazz/fusion style song. With the distortion dialed down, the clean tone of Jasun's notes come through. The sheer amount of notes and what he is playing, makes this song a highlight. Mike Guy's poly-rhythmic drumming, is amazing. His playing throughout the disc is virtuoso, and while the Tipton brothers get a lot of the attention, Guy's drumming is definitely not overshadowed. This disc may not be for everyone. Some may say this disc is nothing but instrumental meandering, others may find it fascinating. If instrumental CDs are not your go to CD, this disc may not change your mind. I believe fans of bands like Death or Atheist will enjoy this disc as much as fans of guitar gods like Tony McAlpine or Steve Vai. This is a disc best listened to it in one sitting, preferably with headphones on. What Abnormal Thought Patterns brings here, is an instrumental soundscape, that will shred one minute, while calming you the next, and is truly the sum of all its parts. Easily recommended to those who enjoy instrumental music. 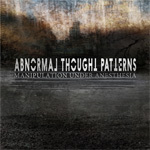 Abnormal Thought Patterns brings an instrumental soundscape that will shred one minute, and then calm you the next.